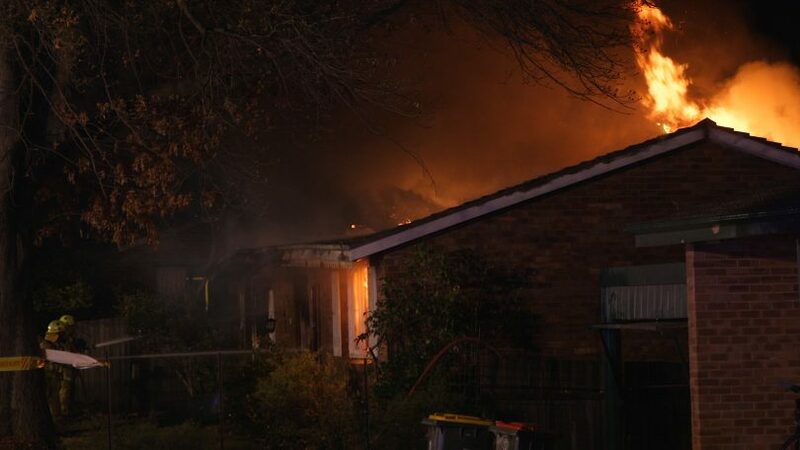 ACT Policing is investigating the cause of a fire that tore through a Lyneham home on Saturday night (29 September). 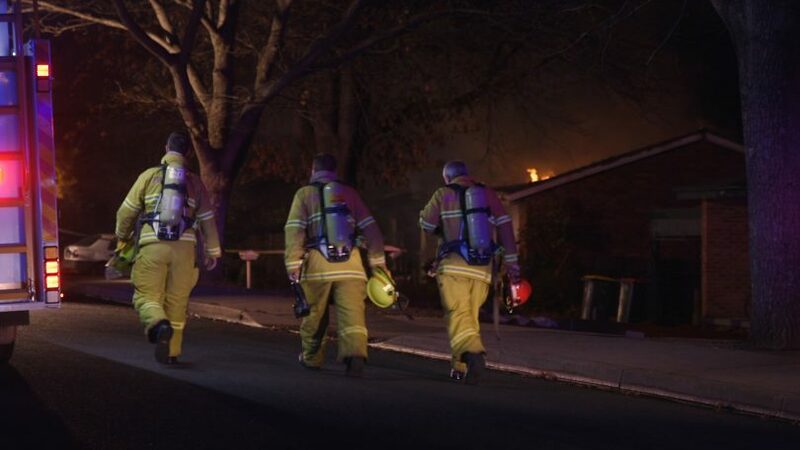 Around 9:05 pm, emergency services were called to the house fire on Longstaff Street, Lyneham, with three pumpers, the breathing apparatus van and two commanders attending the scene. 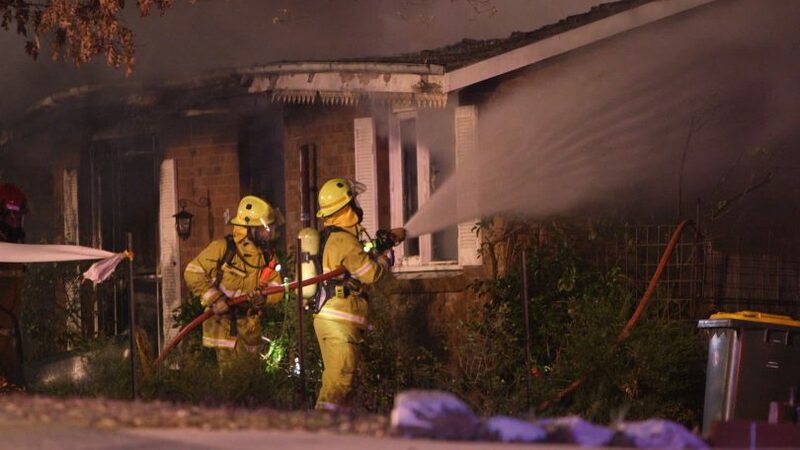 After two hours battling the blaze, firefighters extinguished the fire. The house was severely damaged and the roof collapsed causing firefighters to suspend their search and salvage operations. 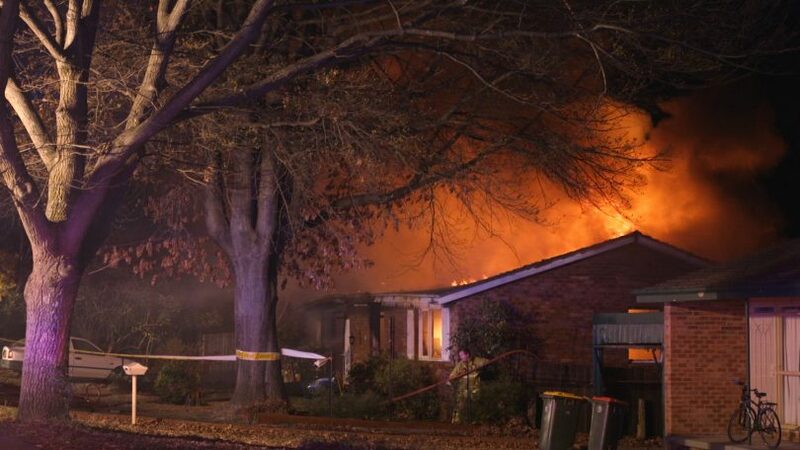 It is believed nobody was home when the fire broke out. ACT Ambulance Service attended the scene but no injuries have been reported.